The Maroons cruised into their fourth consecutive NCAA DIII National Tournament quarterfinal appearance with wins over Carleton on Saturday and UW–Whitewater on Sunday at Stagg Field. 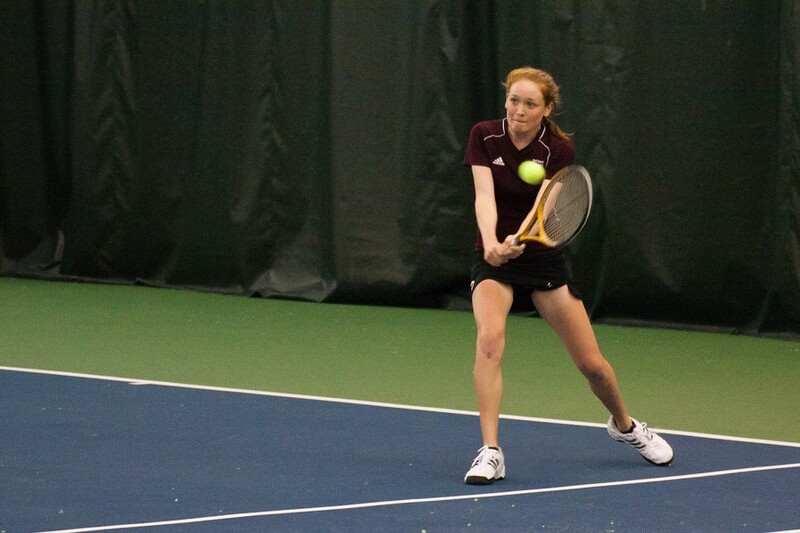 Chicago will play Johns Hopkins, a team that it beat on March 3 (6–3), on Monday, May 21 in Cary, N.C.
With each doubles team allowing no more than three games in their respective matches, the Maroons came out with a 3–0 lead against Carleton. It was even less of a contest in singles as fourth-year Carmen VacaGuzman won 6–1, 6–1 at No. 3 singles and first-year Megan Tang took No. 5 singles 6–0, 6–1 to clinch the dual win. On Sunday, Chicago took on a tougher opponent in UW–Whitewater. At No. 1 doubles the Warhawks held serve to open up the match. In the following game, in spite of three double faults by VacaGuzman, fourth-year Kendra Higgins and VacaGuzman tied the match at 1–1. Each team continued to hold serve to even up the score at 3–3. The following game determined the course of the rest of the match. With the Warhawks serving down 30–40 and on the attack, Higgins made a reaching save and lobbed the ball over her Wisconsin opponents. Moments later, the Maroons broke UW–Whitewater. Chicago did not lose a game after that, winning 8–3. Fourth-year Jennifer Kung and third-year Linden Li controlled No. 2 doubles (8–3). Perhaps, the one match that seemed over almost as soon as it started was the match that ended up being the toughest: No. 3 doubles. Tang and first-year Kelsey McGillis stormed to a 4–1 lead which later became a 7–4 advantage. With McGillis serving for the match, Chicago went up 40–0. Five points later, McGillis and Tang lost the game. The following game featured four advantages for UW–Whitewater. Even so, Tang and McGillis closed out the match with a Tang overhead smash in their first advantage. Tang and McGillis won 8–5. In the end, it was never a concern that the Maroons were ever going to lose this round of 16 match. In fact, McGillis, having had shoulder surgery a few years ago, did not want her shoulder to bother her and head coach Taka Bertrand wanted McGillis to keep it as healthy as possible for the next round. Because of that, McGillis served underhand for the day. Higgins and Tang cruised at No. 1 and No. 5 singles respectively to give the Maroons their quarterfinal birth. Chicago plays Johns Hopkins on Monday, May 21 at a time to be determined in Cary, N.C.